Technical Pro is known to build professional gear that audio professionals and audiophiles turn to for all of their sound needs be it at work or at home. Our new line of Bluetooth Compatible equipment is quickly becoming the bench mark for all others to follow. With its sleek design and powerful sound the BLUET3 Powered Bluetooth® Loudspeaker is one of the hottest units in the market. It’s packed with options and of course built with the same long lasting design that you can expect from the engineers at Technical Pro. 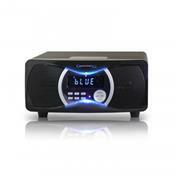 The BLUET3 is one of the newest Bluetooth capable speakers introduced by Technical Pro. With the ability to connect wirelessly to a Bluetooth enabled device while delivered a thumping bass, the BLUET3 has changed the game. With two full range woofers and one subwoofer the BLUET3 delivers unheard of power into your home. Want to play audio files from your phone while keeping it safe in your pocket? No problem. The BLUET3's Bluetooth compatibility allows for wireless connection to any A2DP stereo Bluetooth device. That means you can play audio files from your phone, laptop or any other Bluetooth enabled device within a 30 foot foot range. 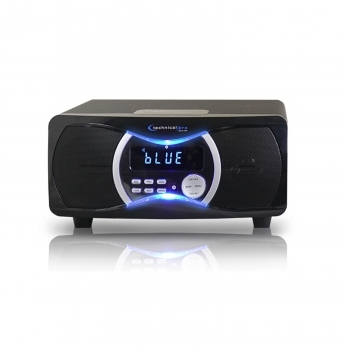 The BLUET3 gives you the freedom to stream music wirelessly from any Bluetooth enabled device. Your in the car on your way home listening to your favorite beats or maybe a podcast from the your phone via the Bluetooth connection in car. You pull into your driveway. Previously there were only two options; stay in your car and keep listening or turn the the car off and continue the listening next time in the car. Technical Pro's BLUET3 unchains you from you car. Now you can walk into your home and connect your Bluetooth enabled mobile device to the BLUET3 and continue listening to your audio. The BLUET3 Bluetooth connectivity is also very useful if your having people over. Connect your mobile phone to the BLUET3 and play your audio from anywhere within a 30 foot range of the BLUET3. If crowd wants you to change the track you don't have to go running to the speaker anymore. Just take out your phone and select another song. The most impressive feature on the BLUET3 is the clarity of the Bluetooth transmission. You wont be able to tell the difference between the sound coming from a mp3 player connected directly to the BLUET3's RCA input or a mobile device 30 feet away connected via Bluetooth. One look at the BLUET3 and you will think it arrived from the future. The unit is extremely stylish and will surely impress your clients or your crowd. If you are serious about your sound, and are in need of options to play modern audio sources, and want to maintain a high level of performance this is for you and it’s available at a price that won’t break the bank.